Sunday, April 14, 2019- This short video is going viral on social media for obvious reasons. 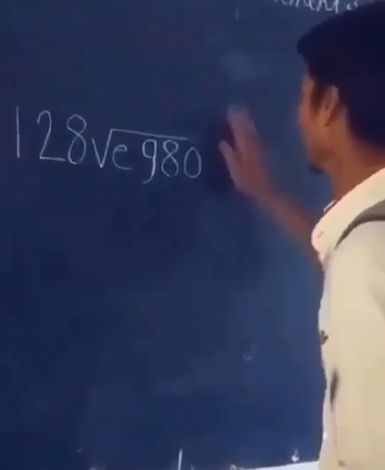 At first, the guy looks like he’s about to show off his math solving skills but what happens next is just crazy. It is either this guy had so much time on his hands or he is just crazy to come up with this idea. Nevertheless, he caught many unawares! REVEALED! The amount of money KINUTHIA sent IVY WANGECHI for her birthday, this man had invested in her. Could a demon feeding off you be the reason behind your misfortunes?